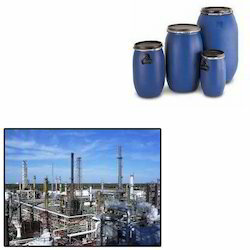 Prominent & Leading Manufacturer from Mumbai, we offer plastic round drums for chemical industries. Owing to our rich experience of this domain, we manufacture and supply the premium quality Plastic Round Drums for Chemical Industries. Ideal of storage of liquid chemicals, the rendered plastic round drums are manufactured by using latest machinery. To meet and handle the precise needs of our customers, we render the plastic round drums for chemical industries in various sizes and colors. Looking for Plastic Round Drums for Chemical Industries ?